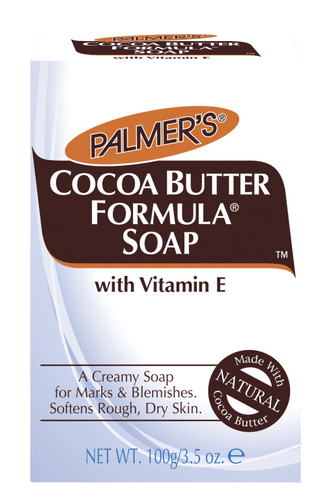 Palmer's Cocoa Butter Formula Cream Soap softens and moisturizes as it cleans without leaving a dry, tight feeling. The ultimate bar soap for moisturizing the skin. Made with pure Cocoa Butter and Vitamin E. Excellent for use on face, hands and body. Cocoa Butter: a rich natural moisturizer that leaves skin soft and silky, transforming even the roughest, driest areas into buttery soft skin. Explore the entire range of Soaps available on Nykaa. Shop more Palmer's products here.You can browse through the complete world of Palmer's Soaps .